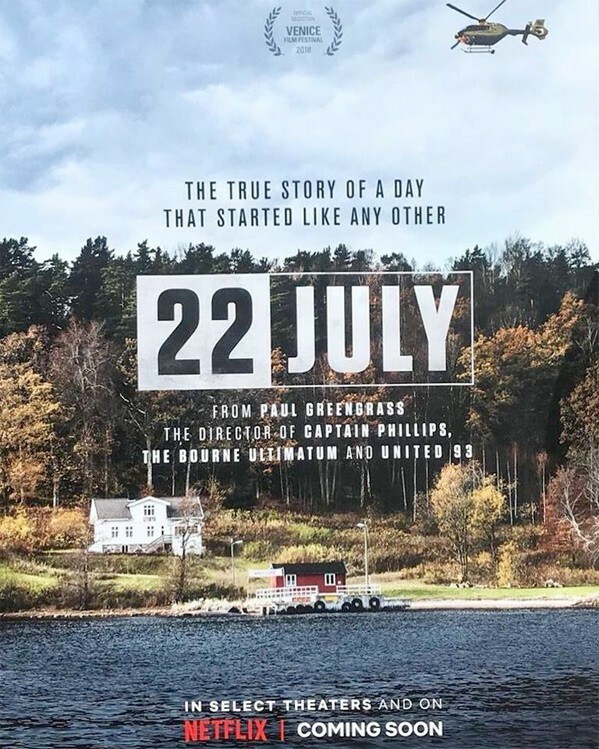 Today Netflix released a trailer for "22 July" a film directed by Paul Greengrass who also penned the screenplay based on the best selling book written by the multitalented actress Åsne Seierstad entitled "One of Us." Paul Greengrass, many of you, may know from his work on "United 93," "The Bourne Supremacy," "The Bourne Ultimatum," "Jason Bourne," "Green Zone," and "Captain Phillips." "In 22 JULY, Academy Award-nominated filmmaker Paul Greengrass (CAPTAIN PHILLIPS, UNITED 93) tells the true story of the aftermath of Norway’s deadliest terrorist attack. On 22 July 2011, 77 people were killed when a far-right extremist detonated a car bomb in Oslo before carrying out a mass shooting at a leadership camp for teens. 22 JULY uses the lens of one survivor’s physical and emotional journey to portray the country's path to healing and reconciliation." Here is the devastating trailer, read on for more. "22 July" premieres tomorrow at the Venice Film Festival before playing at TIFF. 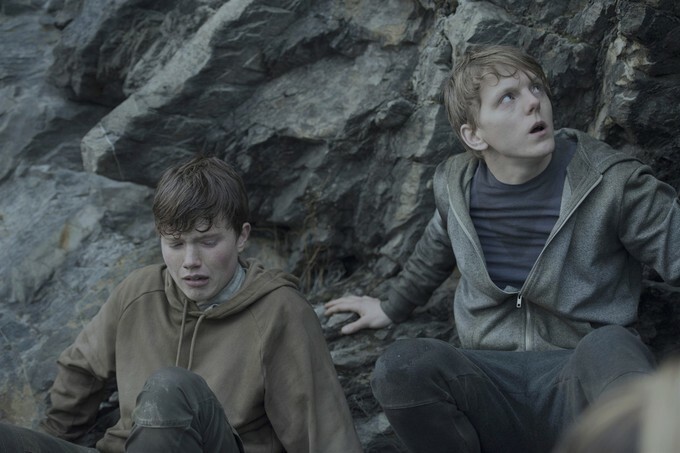 The original title for this film was "Utøya 22 July," and so far the word is that the film is an enthralling as well as emotional look not only at the terror of the events before and during the monstrous massacre, but the societal, mental, and political effects that Norway faced in the aftermath. "22 July" hits select theaters and starts streaming in France, Italy, and the U.S. of A. on October 10th of this year. I am highly interested in this film, and I am familiar with the case via exposure to various true crime and punishment shows/documentaries. The true story of what happened that led to the deaths of 77 young adults 8 that were killed by the bomb, and 69 shot while attending a summer camp youth program called Workers' Youth League(AUF) by the Norwegian far-right-wing terrorist Anders Behring Breivik is beyond jaw-dropping. It is every parent on the planets nightmare, your child along with many others are trapped on an island with a homicidal mass murderer. The fact that this is all based on factual events, one would like to say is unbelievable, but the simple truth is, this happens. Many in our nation consider other countries above the "mass shooter" crazy serial killer/sociopathic school shooter syndromes, but this infectious plague of insanity knows no borders and comes in all shapes and sizes. So, mark your calendars October 10th and be ready to be traumatized. How many of you will brave through this one? 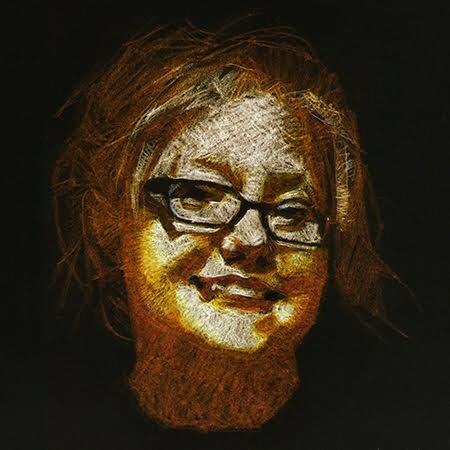 What do you all think let us know in Talk Backs!